For those of us that have dedicated our lives to the craft of piano technology, answering client’s questions is an important part of the service we offer. Questions like; when should I tune my piano, or why should I humidify my home in the winter months, and where is the best place to put my piano are all commonly asked questions. I was asked another question the other day by a client that was very frustrated with the way her piano was performing. She told me she had made her purchase eleven years ago based on the wonderful dynamic range of the Steinway model B grand piano. She told me of the ease of which she could go from soft and intricate to loud and powerful, had sold her on the piano originally. But now…well, she was not happy. It took only a moment to check her piano and identify the problem. The problem was a maintenance issue. Her piano was suffering from the lack of proper service and maintenance required to keep the action of a piano performing at peak capacity. She interrupted my explanation with a question, “What is action regulation, and why is it needed?” Most piano players are not technicians, and this young lady had very little understanding of the way her piano works, so I made an attempt to give her a user friendly, and understandable answer to her question. First; I asked her if she had ever driven a car that hesitated, coughed and sputtered when she stepped on the gas to accelerate quickly? Second; I asked her if she ever had a door hinge that squeaked when she opened the door? She answered yes to both of the questions. I suggested to her that action regulation is to her piano what a tune up is to her car. I told her that a squeaky hinge needs to be lubricated to reduce the friction that is causing the hinge to drag and squeak. I explained that the poor performance she was experiencing with her piano was nothing more than the results of the settling of the moving parts of the action, due to the compression of the felt and leather parts of her piano’s action caused by use and gravity. 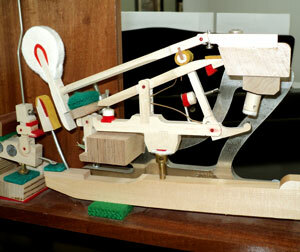 I further explained that a grand piano action has hundreds of moving parts that rub and move against each other. To keep friction in her piano action to a minimum, lubrication is required on a regular basis. Action regulation is a series of adjustments that put the moving parts of the piano back in proper position and alignment allowing peak performance from the piano’s action, coupled with lubrication of the moving parts of the action that will reduce friction, and eliminate that perceived feeling of heavy touch weight and lack of responsive touch. A smile came across her face and she said, “I get it!” This client took the steps to restore the playability she had loved when her piano was new. If your piano is more than five years old, and if it has never been regulated and lubricated, it is time for normal piano maintenance. Remember; pianos need to be tuned, regulated, and lubricated to keep them performing at their best. In the Oakland County, Michigan area call: Ace Piano Tuning at 248-647-6810. I would be happy to help.